It's just an inch further from perfection than Among Thieves -- but that's still closer than most game franchises get within their lifetimes. Moment to moment, it outshines just about every other game on the market, and while it doesn't exactly break the action-adventure mold, it fills it with such practiced substance that you don't really mind the familiarity of its shape. The story dovetails with the previous two chapters quite well. The insight into the relationship shared by Nate and Scully is enjoyable and offers a depth to the story that had been hinted at in the past. The enhanced multi-player and melee gameplay are welcome improvements too. As I sit here and reflect on my gameplay experience, the only thing lacking is the dominant WOW factor of Uncharted 2, but you have to remember that Uncharted 2 set the bar very, very high. Understand this: I’ve had such an entertaining experience with Drake’s latest epic that I’m actually struggling to think of any sections I didn’t actually like – and because of that it’s something that I’d encourage everyone to play, regardless of what your tastes might be, so refined is the whole package. 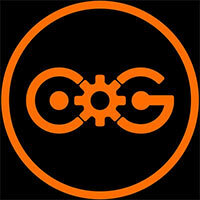 A brilliant, brilliant single player, enjoyable co-op and a multiplayer that’ll last for months if not longer. Naughty Dog achieved an incredible feat in Uncharted 2, elevating the basic action video game to such a cinematic height that, as clichéd as it sounds, you could almost believe you were playing an action movie. That game set the bar so perilously high that it's no crime this sequel merely rises to meet it, and not surpass it. Both games are so impressive that it's tempting to wonder whether there's even much more to be done in this style of game on this generation of hardware. That's a question only time will answer, but today, right now, you should spend some time playing Uncharted 3. All of which makes this a big step on from Uncharted 2 in terms of visuals, gameplay and performance - but its biggest achievement is that, barring minor lapses, the threads are brought together into a superbly cohesive whole. Uncharted 3’s perfectly-balanced gameplay variety and extraordinary scenarios make it easy to overlook its few shortcomings. Its near-perfect sequence of peaks and valleys demonstrates how restraint can imbue some moments with increased impact. It's a short campaign, but the multiplayer makes it worth the asking price.. Drake's Deception is one of those games that has something for just about everyone, and if you own a PlayStation 3 it shouldn't be missed. That adventure winds up in some extreme situations, it never feels artificial or arbitrary - one event leads naturally to the next, even more spectacular and dramatic event. By the time Nate is dangling out of the back of a cargo plane, you'd think the drama couldn't crank any higher, but it does, in wonderful and unexpected ways. 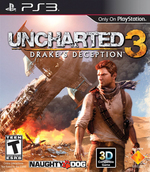 The entire Uncharted 3: Drake’s Deception experience comes together and delivers an unforgettable adventure rich with cinematic eye-candy, intense action sequences, and a multiplayer component that convincingly entertains. Many will compare it to the Game of the Year-winning Uncharted 2: Among Thieves, but it’s better, by far. All that said, Uncharted 3 really is amazing – it’s just not “omgholyshitincredible” in the way that Uncharted 2 was. At least not as far as the campaign’s concerned … While it never quite reaches the highs of Uncharted 2, Uncharted 3’s slick, relentless action, beautiful visuals and beefed-up multiplayer ensure that it stands well enough on its own. While the game is a joy, shooting mechanics have never been Uncharted’s strong suit, and the controls feel too jumpy at times. Also, a couple of segments are just plain messy and frustrating. This is big-budget, triple-A game development at its finest. It’s an adventure packed with thrills and a lot of genuine emotion. Uncharted 3 is at its best when being guided by Naughty Dog's meticulous hand. It's a genuine adventure; strap yourself into the single-player campaign and it's a white-knuckle ride with some of gaming's most engaging characters. 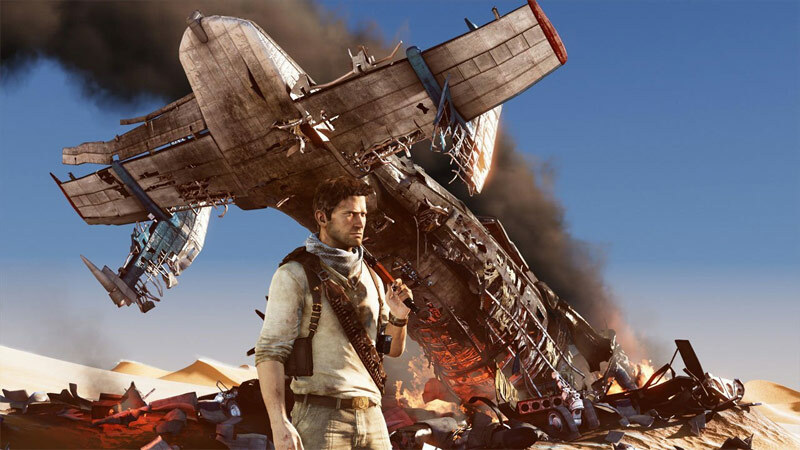 Uncharted 3's trivial flaws are buried beneath a tidal wave of big-budget spectacle, and a genuine narrative warmth far beyond most blockbuster titles. Great characters, superb story-telling and momentous set-pieces gel together like a well-oiled machine that has harnessed the power of the PS3 to create a visual spectacle that others will find hard to match. There's still room for improvement in the grass-roots gameplay, but come the final curtain call you'll look back on the incredible journey and wish that you could relive it all over again. Too often the series has been compared to Indiana Jones and Tomb Raider, but I think it's time to stop comparing this wondrous edge-of-your-seat adventure to icons of a different caliber. The pacing, storytelling, drama, and comedy roll together to give one of the most remarkably cinematic experience in gaming today. 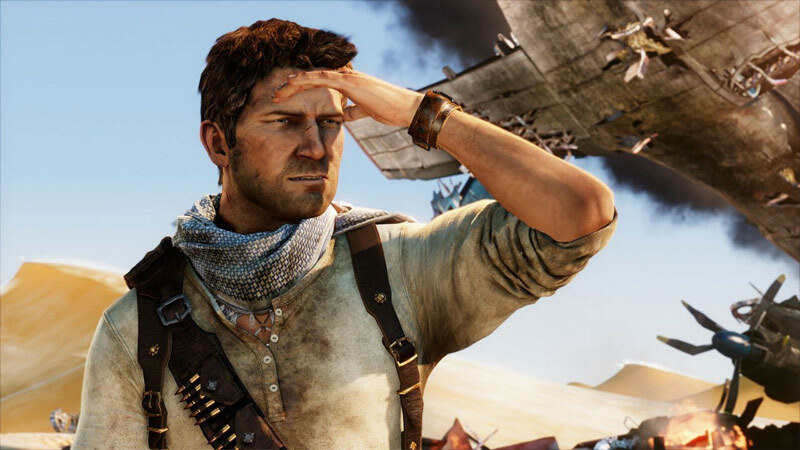 Uncharted 3: Drake's Deception simply raises a bar that didn't even need to be raised. But now that it has, we will never want to go back. These artfully sculpted doldrums add emotional depth and render the game’s high-flying action moments that much more transcendent. You can’t have a line of poetry without some unstressed syllables, after all, and there is indeed poetry in Uncharted 3. Actual poetry, in fact: one scene weaves a narrated stanza of TS Eliot’s The Waste Land into your gameplay objective onscreen. 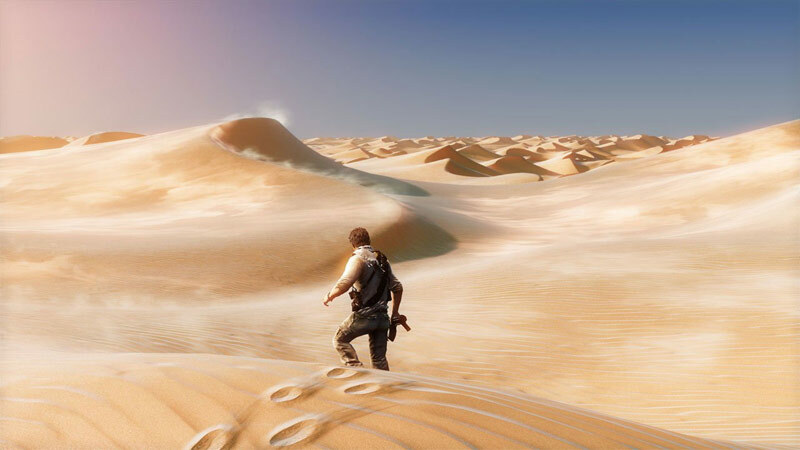 What should be avoided is to take any of Uncharted 3’s near-total brilliance for granted. That we’ve come to expect so much from Naughty Dog doesn’t make its achievement any less astonishing. If any other developer allowed us to control a character as he clung to a cargo net flapping from the back of a plane, we’d need a lie-down to process what we’d seen. Here, it’s just another extraordinary moment – to go with a thrilling rooftop chase, a high-octane horseback ride in the desert and a climax on a vast scale. It’s let down only slightly with a kind of shallowness, and a linear quality unbefitting a game of this quality. But these small niggles aside, Uncharted 3 will have players leaning forward through some of the best action sequences in gaming, and will be a favourite for both long time fans and those new to the series. Imprescindible. Recomendar La Traición de Drake sólo a los fans del género de acción y aventuras sería una injusticia, y es que cualquier aficionado sin importar gustos o condición debe sentirse atraído por él. 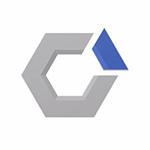 Sobresaliente campaña individual rodeada por un inmaculado envoltorio visual, y acompañada por un muy buen multijugador competitivo. Si tienes una PlayStation 3 debes tener Uncharted 3, y si no la tienes es el motivo perfecto para comprarla. Un perfecto cierre argumental a la trilogía. Más dinamismo en las secciones de salto. Vuelve a situar el techo gráfico de PlayStation 3, cuando parecía imposible que se superaran. Como siempre, una excelente banda sonora y una magnífica recreación de los escenarios en los que tiene lugar. Multijugador potenciado y mejorado en múltiples aspectos. Tenemos, pues, que Uncharted 3 es un gran juego en las fases en las que, precisamente, es menos juego. Es como si Naughty Dog no confiase demasiado en ti y se haya reservado el derecho a llevarte de la mano por todos los clímax, por los que te guían fabulosamente y con los que disfrutas como un crío. Uncharted 2 aprendió a contar una historia y a maravillarnos con ella. A Uncharted 3 se le puede recriminar que ahora tocaba centrarse en la otra mitad. Uncharted 3 : L'illusion de Drake n'a pas usurpé son statut de blockbuster en puissance de la PS3 pour cette fin d'année. Avec sa réalisation magistrale, il nous prouve une nouvelle fois la compétence technique de Naughty Dog qui signe tout simplement le jeu le plus impressionnant à ce jour sur les consoles HD. 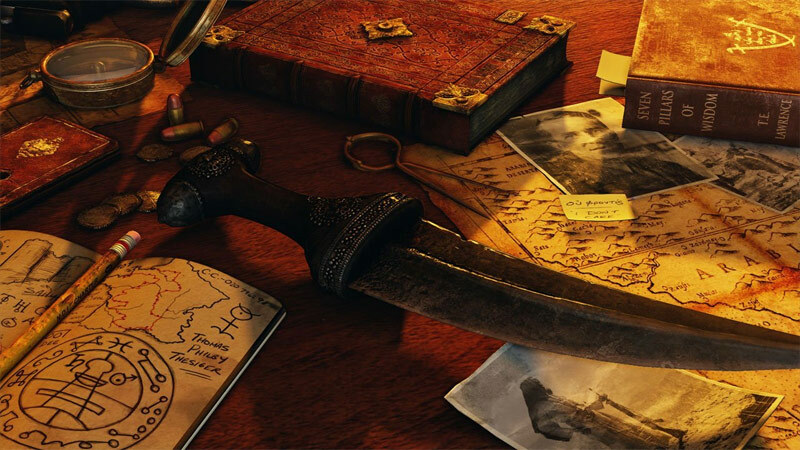 Si la surenchère visuelle est une chose, le titre se montre par contre un poil moins marquant qu'Uncharted 2 : Among Thieves en son temps dans son gameplay, avec des innovations au compte-gouttes et des situations qui surprennent moins, à force. On retrouve dans Uncharted 3 : l'Illusion de Drake tous les éléments d'un excellent jeu d'action-aventure. Le titre de Naughty Dog respecte également toutes les conventions du genre, entre quêtes improbables, trahisons et retournements de situations. Aux commandes d'un Nathan Drake plus débrouillard que jamais, le joueur s'éclate à alterner phases de plates-formes, gunfights et énigmes, auxquelles a été greffé un excellent système de combat au corps-à-corps. Comme nous l’avons souligné à plusieurs reprises dans notre test d’Uncharted 3, Naughty Dog ne cesse de repousser les limites de l’interactivité. C’est même quasiment un sans-faute pour Uncharted 3 qui se montre intelligent dans sa narration, rythmée dans sa progression et acharné dans ses séquences de combats. Com Uncharted 3: Drake's Deception a Naughty Dog volta a entregar uma aventura que toca nos padrões de qualidade alcançados em Uncharted 2, ultrapassando-os até em determinados momentos. Porém e para uma terceira fase de evolução esperava-se uma maior longevidade e até uma reinterpretação da estrutura do jogo. 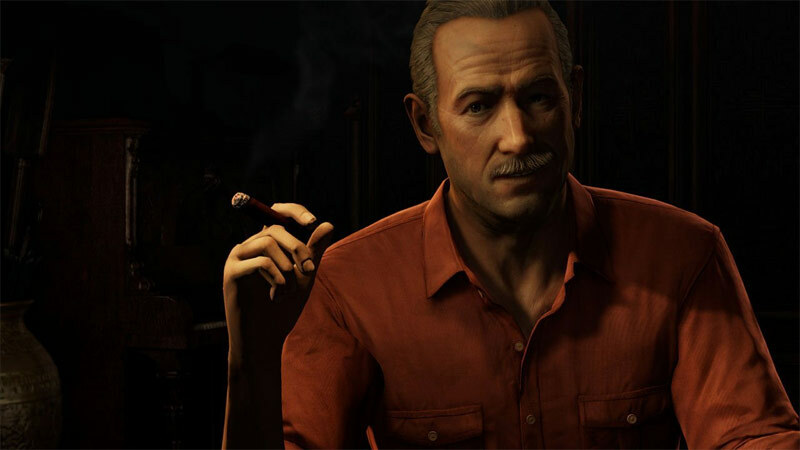 E não é isso que acontece, pelo menos para quem queria ver o jogo avançar para lá de Uncharted 2. In definitiva Uncharted 3: L'Inganno di Drake è la chiara dimostra come il confine tra realtà e "finzione" si stia assottigliando in maniera sempre più significativa e sia ormai prossimo a scomparire del tutto. La qualità complessiva dell'esperienza messa a punto dai Naughty Dog è infatti eccezionale tanto in multiplayer, con un ricco carnet di modalità, quanto in singolo, grazie ad una campagna coinvolgente, emozionante e straordinariamente divertente. Voor de beste ervaring die je kunt meemaken dit jaar moet je zeker bij Uncharted zijn. Ondanks de kleine minpunten, zoals de wat lineaire levels en toch wat tegenvallende stealth-elementen, is Uncharted 3 een geweldige game boordevol content. Naughty Dog houdt de Uncharted naam hoog en levert wederom een erg bijzondere game af. Jag kunde inte beskriva andan som genomsyrar Nathan Drakes eskapader och produktionen bakom mer målande (eller poetiskt högtravande) än Sir Francis själv. Naughty Dog går verkligen i bräschen på alla tänkbara tekniska, berättarmässiga och spelbarhetsmässiga plan. Och visst är Uncharted 3 den klarast lysande stjärnan på himmelen just nu.